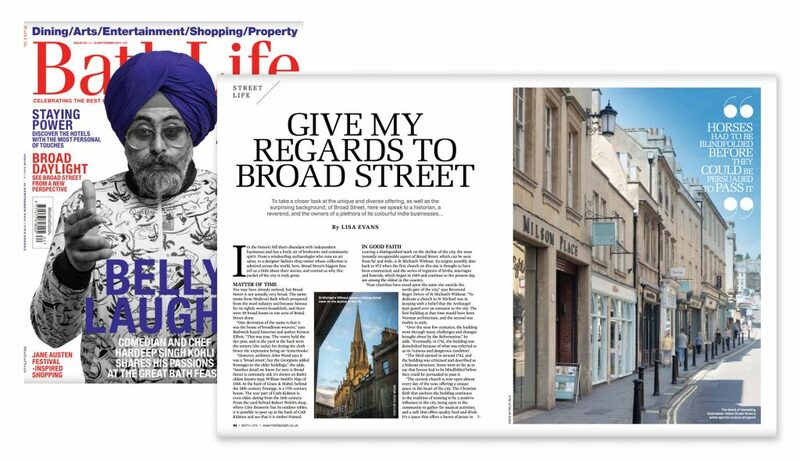 Last month I was approached by Lisa Evans, editor for Bath Life magazine, to capture a full page headline image of Broad Street in Bath. The image was to be used to introduce their ‘Street Life’ article on Broad Street – one of a series of articles documented the iconic streets and the shops/people in the famous city. As a regular photographer for Bath Life, I have previously produced headline images for Bartlett Street as well as shooting for numerous society events and feature articles.